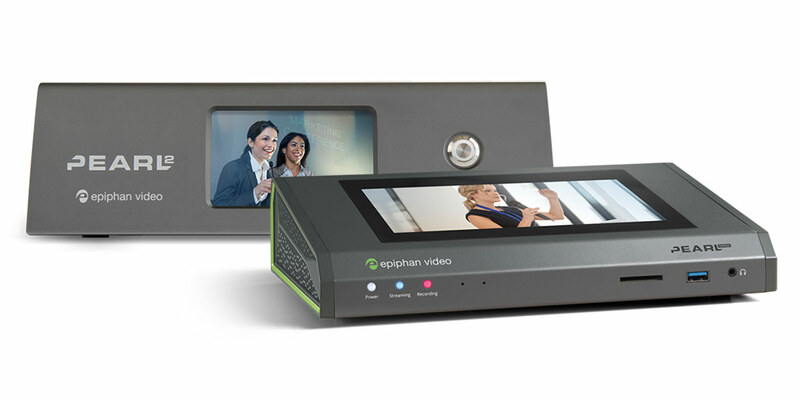 Palo Alto, CA, September 11, 2018 – Epiphan Video, a leader in professional audiovisual capture, recording, and streaming products, is showcasing their latest product updates, like remote login for their Pearl family of all-in-one video production systems and announcing they’ve opened up the Epiphan Video Webcaster X2™ API for third-party applications to integrate with Epiphan’s hugely popular social media streaming video encoder. Webcaster X2 is designed to make live streaming to YouTube, Facebook Live, and Twitch easy. With an open API, the sky’s the limit to the number of third-party apps that can integrate with Webcaster X2. Attendees are invited to join the Epiphan Video team from September 14-18 in Stand 11.A16 at the RAI Amsterdam to discuss the possibilities an open Webcaster X2™ API has to offer. Plus get first hand demonstrations of Epiphan’s other popular products, like Pearl-2 and Pearl Mini all-in-one live production systems. Epiphan’s world-class “all-in-one” live video production switchers Pearl-2 and Pearl Mini feature video streaming, recording, switching, custom program layouts, and more. Praised by critics for its power and versatility, Pearl-2 enables live video production for users of all technical levels with its simple touch screen operation. Pearl Mini is a smaller version which offers a larger touch screen and all the same attention to rugged design and easy control features that make it perfect for live production and lecture capture. Epiphan representatives will be showcasing all the latest features at the Epiphan stand, including remote login. Epiphan’s award-winning portable capture card, AV.io 4K™ is another favorite that will be on display, as well as our other popular products. IBC 2018 is one of Europe’s largest AV shows with more than 1,700 exhibitors focused on the creation, management, and delivery of digital media. A valuable once-per-year opportunity, attendees can experience the latest audiovisual gear and career-advancing skills while growing their professional networks. Stop by the Epiphan Stand 11.A16 for hands-on demonstrations, product discussions and a chance to meet with Epiphan’s executive team and ask about upcoming feature development. If you would like to arrange a private meeting or demo with an Epiphan team member at IBC 2018, contact info@epiphan.com with your preferred date and time. Epiphan solutions are used in a wide range of applications such as professional audiovisual events, corporate communication, collaboration, distance learning, training, simulation, medical imaging, computing, industrial control rooms, security, and transportation applications. In short, Epiphan’s products are trusted anywhere capturing, processing, recording, sharing, and replaying multiple high resolution audio video sources is critical to effective communication. Epiphan Video is a trade name of Epiphan Systems Inc., a privately owned company incorporated in 2003. Epiphan is based in Palo Alto, California, USA and Ottawa, Ontario, Canada with regional offices and a network of authorized channel partners and OEMs throughout the world. For more information, please visit www.epiphan.com. To book a media relations appointment please click here to contact Epiphan Media Relations.